Biblical Life Ministries provides opportunities for you to serve in missions! BLM hosts Short Term Missions teams who assist with specialized training for pastors & church leaders and who assist with ministry in local churches. If you’re interested in bringing a team, click on the link (below left) and share with us your vision. Feeling called to help us train pastors? There could be a place for you! Contact us for more information on how you can serve with Biblical Life Ministries as a BSIB Trainer. Want to use your skills and talents to assist BLM missionaries for 6-12 months? Connect with us to see what opportunities are available at this time. Prayer is the greatest gift you can give your missionary! 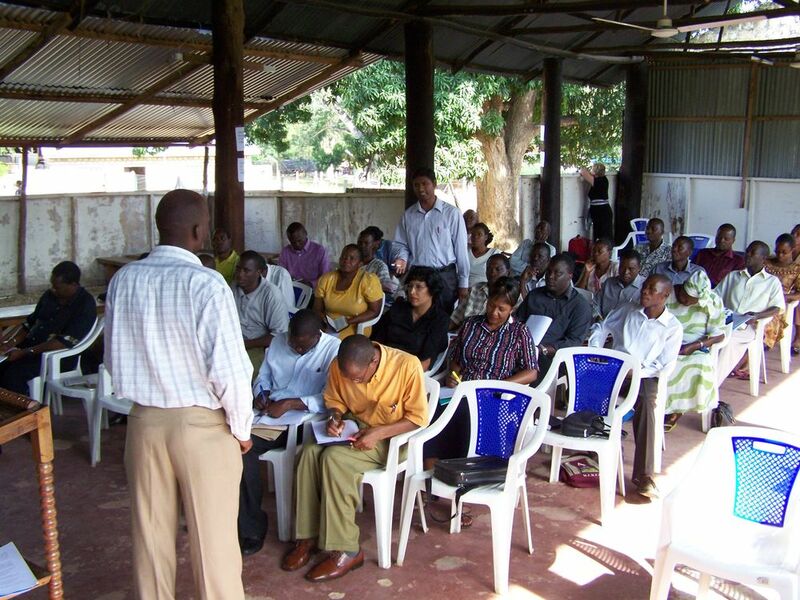 Your prayers greatly impact Bible training. If you’d like to join a group or lead a group that prays regularly for specific needs of our ministry and our missionaries, please click the picture and send us your contact information. Your prayers are appreciated and only heaven will tell all the wonderful ways they were answered! Here are a few ways your giving makes a difference in the lives of people in Kenya. For every $75: a full tank of fuel in the truck so we can travel to train pastors. Every $100: sends one pastor through the BSIB program for a month. Every $1,000: provides a pastor with a year’s worth of Bible education, including books and a Study Bible. Every $150 spent at Bible School in a Briefcase: 10-15 people are saved, hearing a clear Gospel message from a trained pastor from their culture, and who speaks their language. Every $30,000, a completed Bible School in a Briefcase: 2000-2500 people are reached with the Gospel, 30-35 student churches are doubled, some tripled in size, and an additional 20-25 new churches are planted. For more information on donations, becoming a monthly partner, and projects, follow this link to the Online Giving page! e-Sword is an awesome, free Bible study software, hundreds of free resources to download for it, e-Sword X (for Mac users, it is not free, but $9.99 is really, really cheap! ), and the e-Sword App for iPad (it's also not free at $4.99, and it has slightly less features than the desktop version). It's the best Bible study program available! Overcomer's Charles and Sharon Burton are my (Kelly) spiritual Mom and Dad. They gave me tools that helped me get free, and stay free. If you or your church want to help those bound by addiction of any kind, I strongly recommend starting an Overcomers Support Group. The Art of Manliness is not a Christian site, but there is no off-color stuff, some great guy stuff, 'how to' stuff, and if you are a man, you will like it a lot.